We are only twoish days away from Thanksgiving; can you believe it? Of course that also means that if you haven’t already, it is time to create a game plan for the gift-giving season. Though there are the Holidays when gift giving is a custom among friends and family, there are also others for whom gifts are appreciated: your holiday party host/hostess, the family member or friend who gives their home for Thanksgiving dinner etc. So I thought today I would give you a few creative ideas for host/hostess gifts (aka not a bottle of wine… though that is always good too) that you can hurry to the store and get before you are too full and tired from all that yummy Turkey (or Tofurkey for the rest of us)! The weather isn’t frightful just yet, but who doesn’t love a pair of cozy pajamas? If your hostess is your best gal pal, sister, aunt, mother, or someone else you know well (and would appreciate a set of PJs) this is a fun gift. Although I am a fan of the classic plaid flannel variety, many are not; Victoria Secret has a lightweight Sleepover ultra-soft cotton set. The sets come in a variety of colors from a Christmas-y red to hot pink to dark charcoal. And they come with a cute VS monogrammed pocket. Perfect for sipping a cup of hot cocoa after friends and family have gone home. $49.50 at Victoria Secret. Keeping with our cozy theme here, if you have a host why not give them a cashmere scarf? Because who doesn’t like Cashmere? Scarves are becoming a common trend among men’s looks, so it is likely that your host will appreciate the gesture. 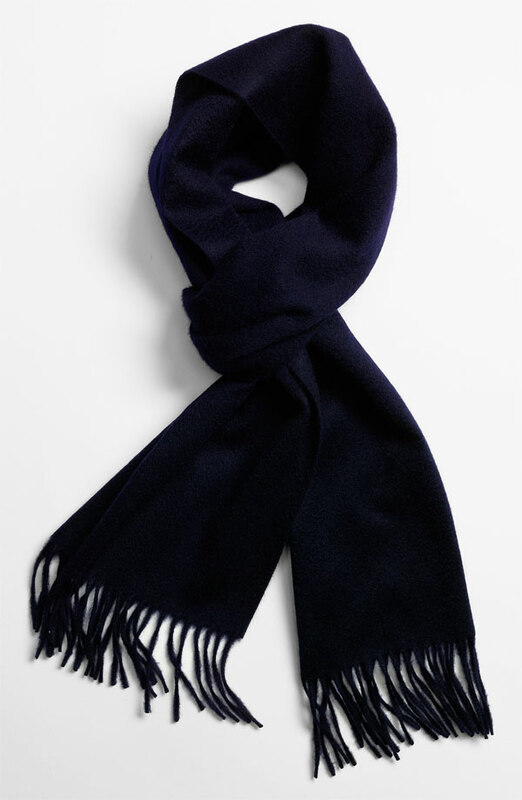 These John W. Nordstrom Cashmere scarves come in masculine colors like black, deep burgundy, and navy. $98.50 at Nordstrom. A great his and her gift is a “matching” set of notebooks. Everyone needs to make lists, take notes, journal etc. at some point. Plus they are super cute. J. 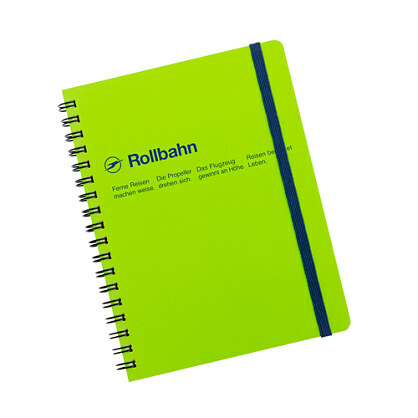 Crew has managed to get their hands on a supply of Rolbahn notebooks from Japan. The colors are vibrant and fun for the guys. $13 at J.Crew. The hers version comes in the form of a J. Crew Pocket datebook. 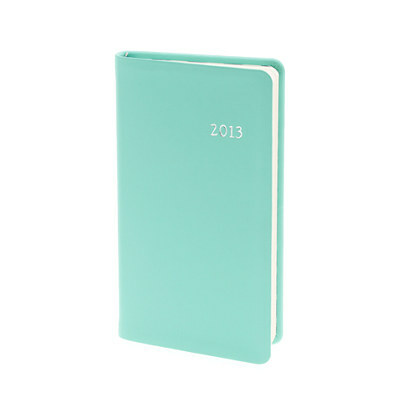 They come in delicious colors like this bright spearmint. $25 at J. Crew. 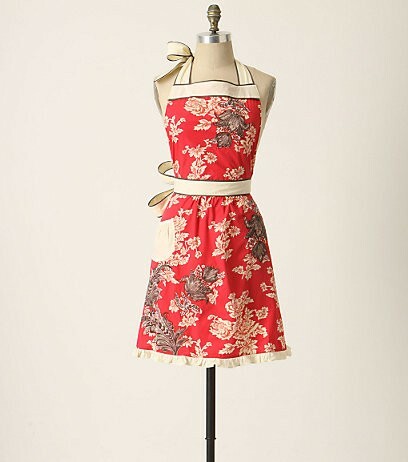 For the baker in your life, the hostess who always has the best baked goods, an adorable Anthropologie apron is a must!!! Yes, I am that excited about these. Who doesn’t deserve to look gorgeous while baking? 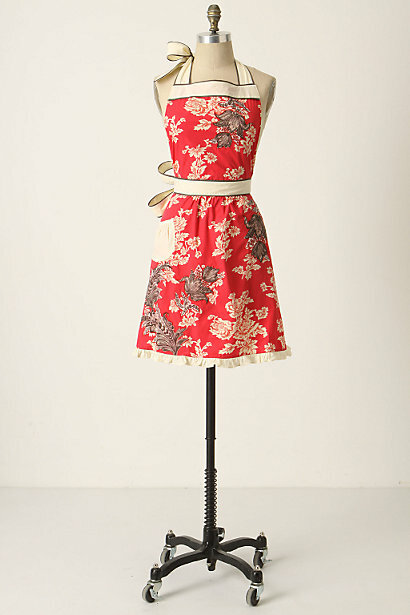 $32 at Anthropologie.